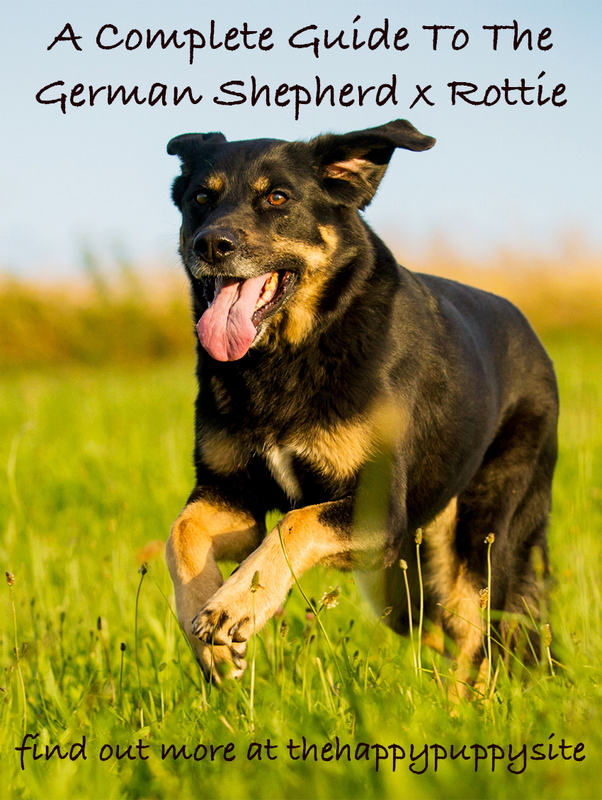 Welcome to our complete guide to the German Shepherd Rottweiler Mix breed dog. 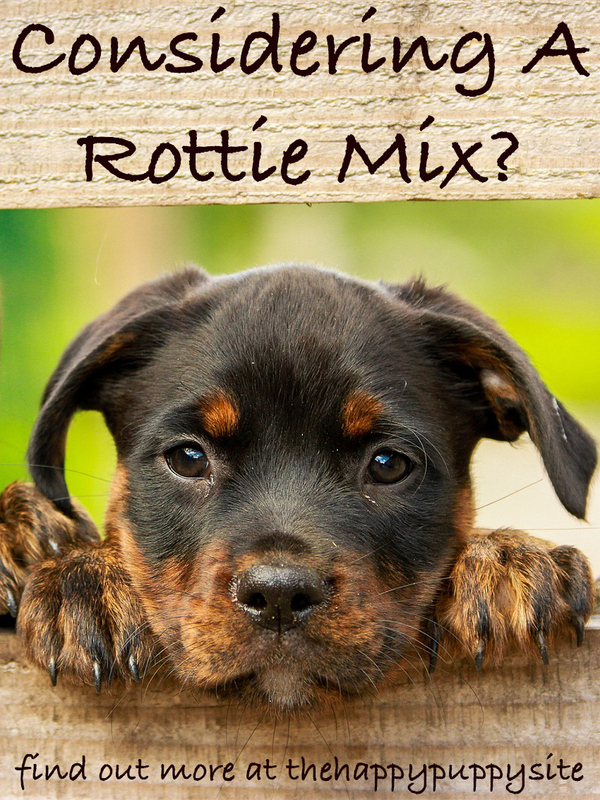 Commonly referred to as a “Shepweiler,” “Rottweiler Shepherd,” “Rotten Shepherd,” “Rottie Shepherd,” or even “Shottie”! 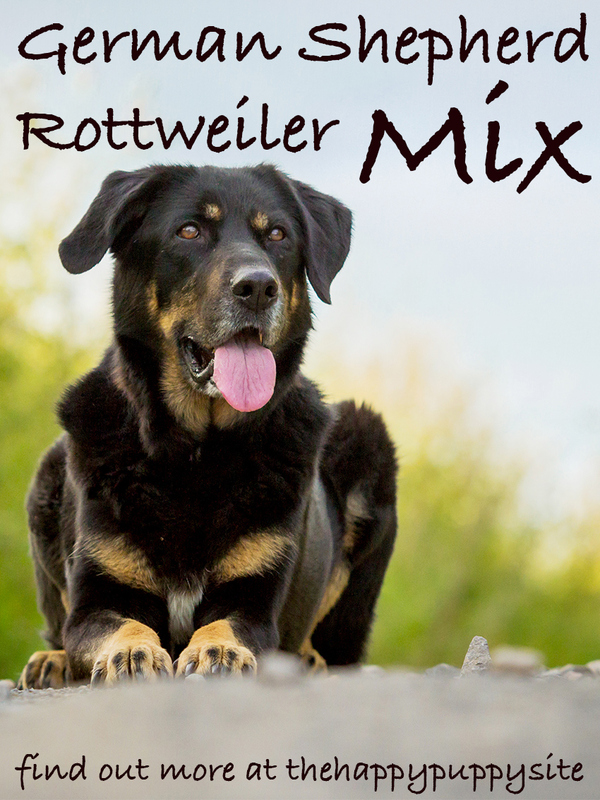 We are going to take a look at the important things you will need to know about the German Shepherd Rottweiler mix. We’ll find out what a German Shepherd cross Rottweiler looks like, the origin of its parents, common behavior and possible health issues. Helping you to decide whether or not this hybrid dog could be a good fit for your household. A German Shepherd Rottweiler Mix is a designer breed. It results from the crossing of a purebred German Shepherd Dog (GSD) with a purebred Rottweiler. Two of the most popular and recognized dog breeds around! 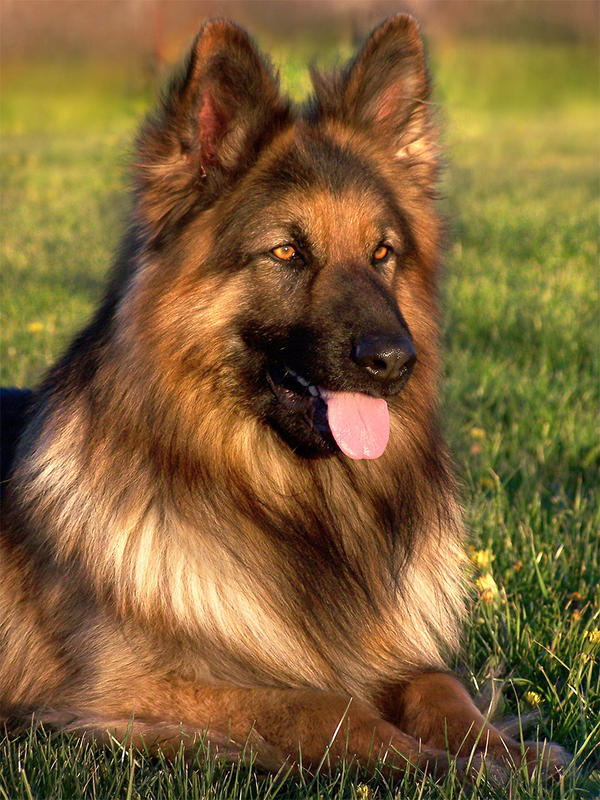 According to the American Kennel Club, the German Shepherd Dog ranks second most popular breed. With the Rottweiler coming in as ninth most popular breed. But before we can understand the Rottweiler german shepherd mix characteristics, we must first discuss its lineage. Where Did the German Shepherd Rottweiler Mix Come From? Let’s talk about the German Shepherd Dog and the Rottweiler! The German Shepherd Dog is a member of the herding group of breeds. The breed is well known for its tall stature. 24-26 inches at the shoulder. It is medium-sized, but with a well-muscled body and deep chest. GSDs may grow to anywhere from 49 to 88 pounds. Other recognizable traits of the German Shepherd Dog include its sloping hips, crouched hind legs, large and alert ears. As well as extreme devotion to their human companion or handler. You’ll often find them used as guard or service dogs. 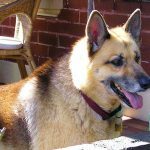 You can find out all about the German Shepherd Dog in our extensive guide here. The Rottweiler is a member of the working group of breeds. Rotties are much larger in size, typically maturing to 77-130 pounds and 22-27 inches tall. They are known for their powerful and robust physique, which some may find slightly intimidating. It is generally accepted that Rottweilers were bred to be dependable working or guard animals. Their compact but agile physique provides increased strength and endurance. You can find out lots more about Rottweilers in our complete breed review here. One of the most common concerns about purchasing or adopting a large dog is their temperament. Since the German Shepherd Rottweiler hybrid isn’t a pure breed, its temperament can only be assumed based on the characteristic temperament of its parent breeds. Due to the nature of its parent breeds, the German Shepherd Rottweiler mix temperament can be a sensitive subject. The German Shepherd Dog is often seen as an aggressive dog, with this trait being put to use in a police K-9 position. However, it’s important to note that these service dogs are aggressive only when their handler prompts them to be. As a companion, the German Shepherd has the potential to exhibit aggression to other dogs or even humans. The German Shepherd may express aggressive behavior if it feels that its owner or home is being threatened. Especially in an instance when a strange dog or human enters its “territory”. Similarly to the German Shepherd, the Rottweiler is known as a particularly aggressive breed. This image is not helped by common instances of Rotties attacking children or other passers by. Because this breed was originated as a guard dog, Rotties are governed by their nature to protect what is “theirs” as well as their homes. The good news is, both German Shepherds and Rottweilers are highly intelligent breeds that learn quickly, so Rottweiler and German Shepherd mix puppies can be easily trained. Thus, it’s very important to begin handling and socializing them with other dogs and people (including children) starting at a young age. Socialization to a range of places and people, as well as a large and frequent variety of visitors, will help your dog to feel comfortable. Reducing their need to ‘guard’ their property or family. We highly recommend positive training techniques for guarding breeds of dog. Punishment based training can have the result of masking fearful or aggressive reactions in dogs, and can make them more likely to bite without warning in the future. You can find out all about the demise of dominance theory and the benefits of reward based training here. We must stress that with any mixed breed, the temperament of a hybrid dog or puppy may be reminiscent of one parent breed more so than the other. When breeding for a German Shepherd Rottweiler Mix, the resulting puppy’s temperament and traits will be very hard to predict. So, will a German shepherd and Rottweiler mix grow up to be a large dog? The answer is most certainly yes. 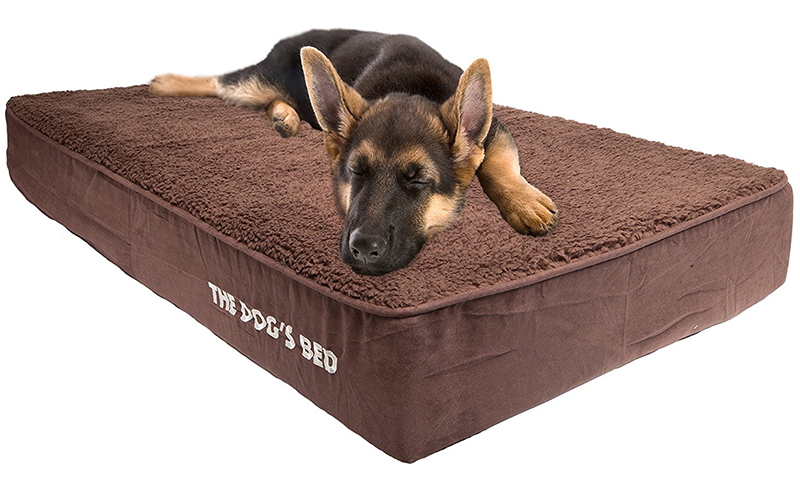 Your big dog will need a very big dog bed! Due to the size of its parents, a German Shepherd Rottweiler mix full grown will weigh anywhere from 77 to 115 pounds. You can also expect them to reach a height of 22 to 27 inches at the shoulder. As we mentioned earlier, the traits of a hybrid puppy can be pretty hard to predict. As such, Rottweiler and german shepherd mix puppies may be born with a mix of their parent breeds’ characteristics. Or they may exhibit characteristics from one breed more so than the other. Rottweiler cross German Shepherd puppies’ coloring can be a solid or mix of colors. Including black, cream, red, sliver, tan, blue, gray, liver, sable, or white. They may or may not inherit the Rottweiler’s rust or mahogany face and leg markings. The same goes for the German Shepherd’s black face and leg markings. 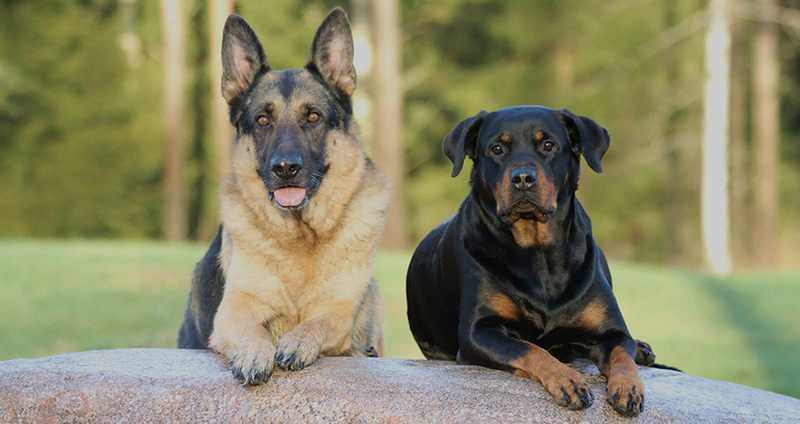 With the German Shepherd’s medium-length, thick coat and the Rottie’s short, thick coat, a Rottweiler german shepherd will most likely have a thick coat. However, the length of the coat depends on which parent the puppy takes after. Can you expect a German Shepherd mix with Rottweiler to shed a lot? If a German Shepherd Rottweiler Mix puppy has the medium and shaggier coat of its German Shepherd parent, then it will require brushing several times each week. This will increase to daily during shedding season. If the puppy has the shorter coat of its Rottweiler parent, then it may not require more than a good weekly brushing. It’s important to groom a dog even if they don’t shed much, so as to facilitate ridding of excess hair and dead skin. 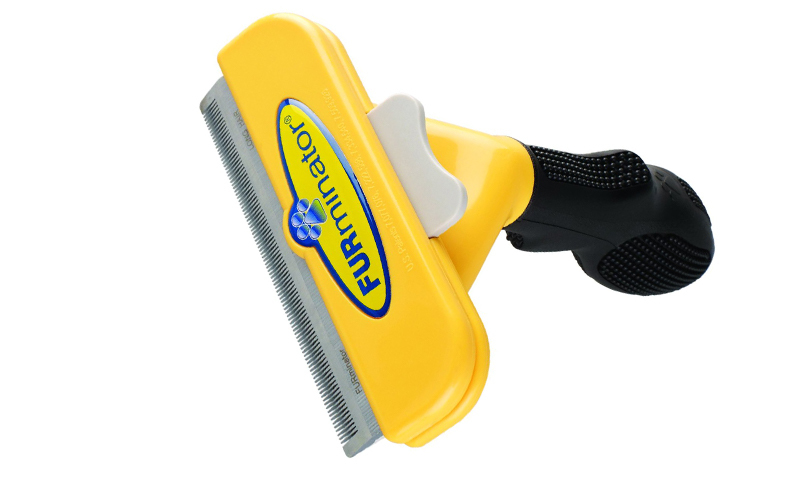 A tool like a Furminator will help you to stay on top of this hairy problem. Just like any purebred or hybrid dog, a Rottweiler mixed with german shepherd may have congenital health issues, or they may develop ailments later in life. Common canine health issues, regardless of breed, include hip dysplasia, eye diseases, allergies, and skin irritations. However, because both the German Shepherd Dog (GSD) and the Rottweiler are prone to joint degeneration, the GSD Rottweiler mix is especially prone to elbow and hip dysplasia. It’s been estimated that almost 70% of large-breed dogs will develop this devastating condition. To delay the onset of elbow or hip dysplasia or to reduce the severity of an existing case, it’s very important to keep a Rottweiler GSD mix at a healthy weight. Studies have shown that carrying extra weight greatly increases a young dog’s risk of joint degeneration. In addition to hip and elbow dysplasia, a German Shepherd Rottweiler Mix may also inherit cancer, heart disease, hypothyroidism, and/or autoimmune diseases from their parents. If you’re working with a breeder to obtain a puppy, genetic testing on both the sire and dam will help determine any health issues that they carry. Make sure that both parents have good hip and elbow scores. It is also important that the German Shepherd parent has a flat back and does not walk on his hocks. You can find out more about this exaggeration and the potential issues it can cause here. German Shepherd Rottweiler Mixes are prone to elbow or hip dysplasia and hypothyroidism. It’s therefore very important that they get an appropriate amount of exercise and are kept on a healthy diet to maintain their weight. Additionally, both German Shepherds and Rottweilers are very energetic and rambunctious breeds, so a hybrid of the two will also exhibit high energy and a playful attitude. If they don’t get the proper amount of exercise, then their destructive tendencies may rear their ugly heads. 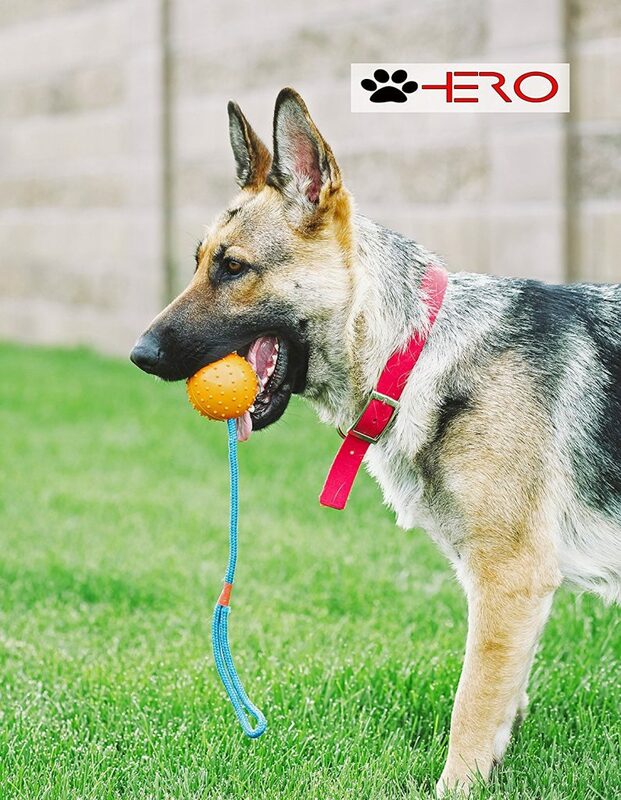 Get the right toys to help your German Shepherd Rottweiler Mix stay fit and happy. You might come home to find a piece of furniture or clothing chewed up! To keep your home and dog happy, you should plan to walk or play with your German Shepherd Rottweiler for a minimum of one hour each day. You should also have plenty of room in the house for them to self-exercise if you are away. It is not recommended to keep a GSD or Rottie if you are going to be regularly out of the house for long stretches of time. You can expect a mixed breed puppy to live about as long as its parent breeds. Thus, the German Shepherd Rottweiler Mix can be expected to live for approximately 10 to 13 years. It may be easier to find a mixed breed dog for adoption at a local shelter or animal rescue than at a breeder’s. Thus, it may require a bit of searching around or collaborating with a breeder to get your perfect puppy! So, how much will a Shepweiler puppy or dog cost? As a designer breed, it may cost anywhere from a few hundred dollars to just shy of $1,000. This will depend on the parent stock and the value placed on them by the breeder. Is a German Shepherd Rottweiler Mix a Good Family Dog? Special consideration should be made before purchasing a German Shepherd Rottweiler cross. Both parent breeds are large and energetic, so a hybrid puppy will require a lot of room to play and grow. Additionally, they may require a lot of brushing if they have the German Shepherd’s longer coat, and you’ll need to clean your house a lot during shedding season. You must also be prepared to deal with elbow or hip dysplasia, a common disease that affects both parent breeds. Carefully monitoring their diet and weight will be mandatory. Are German Shepherd Rottweiler Mixes Kid Friendly? Furthermore, both Rottweilers and German Shepherds are known for their potentially aggressive natures, so careful handling and obedience training starting at a young age is also a must, especially when dealing with a larger breed. They may not be good candidates for homes with other animals or children. However, if you have the space for a large and playful dog, the time and dedication to devote to socializing and training them properly. And you can put their intelligence to good use. Then a German Shepherd Rottweiler Mix may be your next pet! Just make sure that both parents are of great temperaments and are fully health tested. Still Trying To Decide Which Dog Breed To Buy? 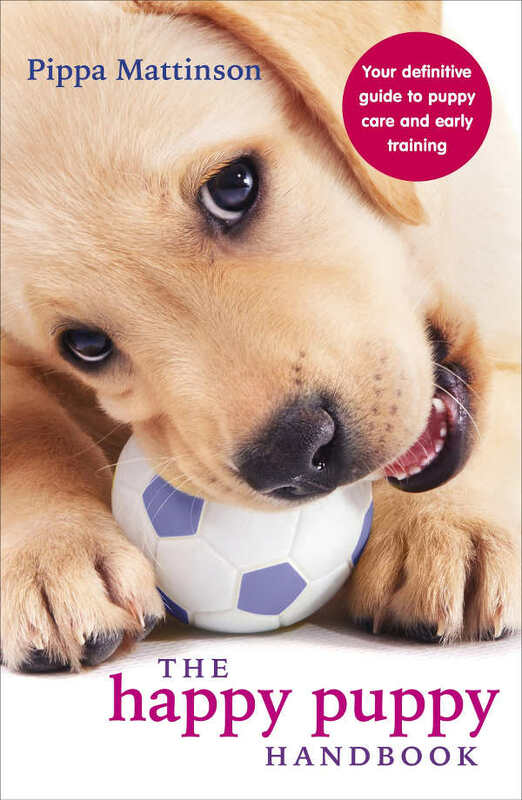 Then check out our amazing guide to Choosing The Perfect Puppy. This brilliant book gives in depth reviews of the pros and cons of all your favorite popular dog breeds. Helping you to decide which new puppy to bring into your home and heart. 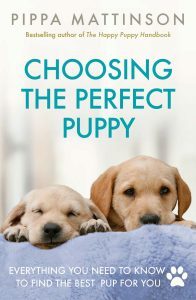 Buy your copy of Choosing The Perfect Puppy on Amazon today. Blackshaw, J.K., 1991. “An overview of types of aggressive behaviour in dogs and methods of treatment”. Appied Animal Behaviour Science, 30: 351-361. Smith, G.K., Mayhew, P.D., Kapatkin, A.S., McKelvie, P.J., Shofer, F.S., Gregor, T.P., 2001. “Evaluation of risk factors for degenerative joint disease associated with hip dysplasia in German Shepherd Dogs, Golden Retrievers, Labrador Retrievers, and Rottweilers”. Journal of Veterinary Medicine, 219. I seem to have inherited a Shep Rottie. He is my descent from my son’s passed away Service dog drop out GSD (She came from some really sharp lines and though donated failed school 3x there was no rehoming her after she was already 3. She was handsome, smart and evil). Her daughter’s dog owner dumped this puppy on her x bf family and it ended up following my son home. The people have called AC and tossed it out of the yard. I can empathize. They are elderly and this pup is heavy, naughty and in land shark stage. ZERO bite inhibition, lead training, house training. I still had my steel kennel thank goodness. He is smart and kennel training very well, He is rather stranger suspicious at night though he will follow anyone in day. This is AZ state. If there is an interest I will check again. I have no idea about the Shep-rott father temperament. This pup seems rather on the sharp side and dominant. I am afraid to keep him too long because he seems a velcro dog. I am unsure if he would be good bet when my has a replacement service dog. I want to give him a chance and smooth some of his gaps in basic training while rehoming. I am wary of Rottie traits since I am not familiar with the breed at all. My son being twitchy an non verbal requires a special dog or well trained one. Havent had a vet check yet but he seems about 10 weeks. All the old folk knew is that he is born this year. I strongly encourage anyone looking for a German Shepherd Rottweiler mix to look at animal rescue websites regardless of the state you live in. The rescue will transport for a minimal price. It’s so sad that so many dogs get dumped or abused. We got our 2-year-old rescue Shepherd Rottie mix from a shelter in Texas that transports to Washington state where we live. Our dog was found abandoned tied to a pole on the highway, a sheriff found him and brought him to a shelter. Our Riley is 2 1/2 years old now and is a very smart and gentle dog. She has played with other dogs since she was a pup as we have 3 1/2 acres for her to run and a lot of friends with dogs. She also has been around plenty of people since she was a pup and both have helped a lot. At times she can still get a little agressive sometimes when new people come over but some people she makes up with right away and some she is skittish of. She will bark and back off but has never went at anyone. Hi Sebrina, You need to take your puppy to the vet. I hope she feels better soon! We got our Scout 2 months ago. She is beautiful and so smart. One question, she chases our 2 cats. Bot aggressively, but I think she is just curious and playful. This makes my cats very uncomfortable. Any suggestions? Mine does that too. I just tell her to “leave it” and she does. She is slowly learning not to bother with them. She will however, be more prone to chasing if cat is running. How is it possible that the entire litter of gsd cross rottweiler is brindle??? I will have this breed available in probably late January. My female solid black shepherd very good bloodline was with and equality high quality German Rottweiler. Both breeds are very gentle and smart. Where is your location and is this your first litter from these two dogs? Do you still have these puppies? if so how much are you selling them for? my friend is looking for a cross breed german shepherd & Rottweiler, he has always kept large dogs he has land for the dog to run around and play on. Hi, We just lost our dear rottie/shepherd 11/24 and I have been desperately looking for someone who has this kind of puppy. Please send me the details. Thank you!!! Happy New Year! I am not sure my first attempt went through as I do not see it posted. We would be very interested in a puppy as we just lost our rottie/shepherd 11/24. Thank you and Happy New Year! Hi I have two females shotties, they are beautiful. 1 year old. I am very interested in homing one of your litter. My mum currently has a 8 year old German Shepherd x Rottweiler which we rescued when she was 14weeks old from The Blue Cross. I’ve been desperate for one of myself ever since I moved out. Looking forward to hearing from you. I have one who I named Sadie. Like you all are saying . I fell in Love with her at 1st sight !! Had to have her !! , I have little dogs , but Sadie Accidently hurts them , but not on purpose. They don’t accept her. So I have to take turns letting outside. But Sadie for sure is My girl, I LOVE her so much !! She is so smart !! Energetic s & Loves to play & is a good guard dog & yes her bark scares people. She’s a little bossy, some times she will bark at me when I am too slow doing something , that she scares me. Not out of fear. But like when someone sneaks up behind you & says BOO., you jump. Like that !! I rescued her , not sure how old she was , I think like8 months. She is 3 now !!! Yes she would play for hours, but I tire out before she does !!! Has anyone notice a change in personality after a girl get’s fixe ? Beside loosing her mothering aspected ? Just curious . It’s real nice to know I am not the only one to have the only one who has one of these great dogs! This was the last type of dog we had. Best dog ever. We are looking for a puppy. We’re in Washington State. Any leads would be appreciated. Thanks! Hi Lisa would I know you said you may be having a litter in 3 months back at the end of August but I was wondering have if you did have the litter and have you got any pups still available as I am very interested. If you could let me know either way that would be great thanks. Totally agree….our rescue Abby is 2 years old and a sweetheart with kids….very playful with other dogs and is an incredible companion. She was a rescue from Page, AZ, and has been a blessing for our family. She is wonderful. Great and playful temperment and loves walks and hiking. Weighs 58 pounds….not a lap dog but likes to be near her human family. We would be very interested. Thank you! Where are you please?I have very good rottie and gsd crosses! I got Maximilian when he was only 3 weeks old, I was told he was 3 months old, but when I took him from the pound to the veterinary hospital, after he threw up in my car, she informed me that he was only 3 weeks. He is turning 13 this year. We got him for a guard dog, However he turned out to be more like one of the family. I keep reading about how their not good with children, but Max has always been the most gentle & generous, loving companion. My boys were only 5 & 7 when we got Max, they still call him their little brother. Max will wait until the other dogs eat or get water before he steps in. Don’t get me wrong, when he & my boys were younger, he was there body guard. However to make a long story even longer, I’m really tired of hearing about this mix being aggresive, like I said, I’ve had him for almost 13 years, he is about 115 at his healthiest weight, a very large teddy bear & one of the most gentle loving guys on this planet. Don’t judge any dog by what you read. I forgot to mention he’s a German Shepherd Rottweiler mix. Before they were popular, they were disregarded. I adopted him after the owners left him, malnutrition & dehydrated. I saved him & he saved me! How long did it take your shepweiler to reach the highest weight. Or at what point did he start to gain? Make his food at home. The garbage they put into dog food is abysmal. Look online to see what the guidelines are. I make my dogs food and it’s usually 60 percent proten (meat or other protein) 15 percent starch, 20 percent fruits/veggie, and 5 percent fats. The fats are essential for keeping the skin/coat healthy. I also have a multi vitamin supplement she gets once a day. You can make home made kibble too. Hundreds of recipes for it. He could have allergies and thats why he doesn’t like it. That is what happened with my dog and how I got into making her food. Good, high quality dog food is VERY expensive, and add allergies, I was down to ONE brand and it was about $100 a bag, that lasted us two weeks. Making her food, it’s about $50 every two weeks, if that much since I get her proteins on sale and scraps from hunters etc. It can take a bit of work to get used to doing it, but worth it. I make a week at a time for the meat mix, and a month at a time for the kibble. After about a month, I have that prep for meat mix down to under 20 minutes for a weeks worth of food. We have a Shepherd-Rottweiler mix, though he is unusual in that he is 3/4 Shepherd and 1/4 Rottweiler — someone mixed a Shepweiler with a Shepherd. He’s not just a beautiful and powerful dog, but he is the smartest dog we’ve ever had, and our last dog was a border collie. He is able to figure out so many things on his own, especially ways to manipulate humans, that it just amazes us. We adopted Lollie at 3 months old, She is the smartest dog ever, She picks up commands quickly. She is to be my service dog. Her best friend is out 4 pound chihuahua, that she wrestles and plays with. Lollie is 29 pounds and 4 months. She also lives with 6 indoor cats that she could care less about. She is so Awesome, we love you so much. I have my Ubee who just turned 4 and omg he is so smart and so good with kids!!!! What type of training did you give your dog? Mine is only 7 months old. We had a Rottweiler/shepherd mix, Bogart, for 14 years. The most handsome, intelligent, loyal dog I ever had. He walked the girls to the bus each morning and watched over them while they played outside. He kept the cyotes away and he loved us. But, I can’t find another mix, no one breeds them. Any suggestions on how to find a shepherd Rottweiler mix? I got mine at a shelter when he was 6 months. Just saw him and my mom declared that he is my dog and proceeed to adopt him with my credit card. I’ve had shepards or shepard mixes my whole life and he’s probalby the best behaved dog I’ve ever had. He’s an awesome dog. I had to sign all shorts of “aggressive dog” waivers at the shelter, but this dog is not even a ouch aggressive. He loves playing with all other dogs.. all of them.. and he loves kids the best. He currently lives with 3 cats who routinely beat him up and the wrost thing he does is chase them. He does nothing to them when he catchs them. He rarely barks. I have toys everywhere that are all chewed up to almost nothing. He has his own toy box and he will play for hours if you’re up for it. His biggest downfall is he has wanderlust. If he isn’t on a leash, he ends up in puppy jail and i have to go bail him out. He also saved my life. He barked until someone found me. i didn’t do the reserach. I just loved him at first sight.. or my mom did. He’s a great dog. We have had our Shepard/Rottie mix Riley for almost two years now. She is 84 pounds and loves almost everyone. We always have people over as well as other dogs so she gets along well with both. Sometimes she will be wary of someone and bark at them while she backs up against our legs but has never been aggressive with anyone. She is very smart and energetic. Loves the cold weather and also loves water. She will actually lay down in it up to her neck. Good dog and we love her! We have had our ShepWeiler Maxx for years & could not ask for a better dog. He is friendly, playful & wonderful w all ages. His trainability was amazing.. Everyone seems amazed he has never left our property thoufh we have no fences! Sweet as he is, his appearance & deep resinous bark are enough to stop are enough to intimidate the most stalwart intruder! We got our Molly ( Rottie/Shepherd mix) from a rescue that brought her up from a high kill shelter in CA. We’ve had her about a year now and just love her. She’s 9 now and has some problems (hard of hearing and soft in the rear end) but is a great dog. She loves everyone including dogs, cats and young grandkids. She is our second senior rescue and I would encourage anyone to adopt a senior dog. Old dogs need love too :). I have had a mix dog for 12 years. We got him from a shelter when he was 3 months old. He was loving smart and a great family pet. We had to put him down last week due to having his stomach turn over. He was 113 pounds. We are now looking for another puppy of the same mix. We will have the stomach surgically corrected when he is old enough. We are looking for a male puppy about 3 or 4 months old. What was the signs of your dog’s stomach problems? Mine is turning 13 & just now starting to show signs of old age. We Just got the German Shepherd Rottweiler mix from a lady who rescued him from highway… He is well behaved dog we all like him however our concern is we are not home almost for 10 hours…. I got my Rott/Shep mix when she was 15 months old. She was hands down the best dog I ever had. Very smart, dog friendly and kid friendly. She was actually scared of little kids. I would say 3 yrs and younger. She would just avoid them and hide behind me. Ha! Strange, but she never hurt anyone. I loved my other dogs, but I adored her. My husband and I adopted a Sherpherd Rottweiler in Jan 2017, Reagan recently turned 15 mos. in June. We also have two rescue yorkies and a dobie She is one of the sweetest protective dogs we have owned. Reagan is a counter surfer, which we are working on. Her obedience classes have been helpful and needed. She is very intelligent and learns fast . She and our dobie are a great playmates, Trooper has been very helpful teaching her to play and learn how to be a puppy as Reagan was not socialized. This is a great mixture of breeds as long as you want a large strong built dog that is great with children and family and you are willing to work with using positive reinforcement. You won’t regret taking the time, they make great pets!! Both my wife and I can agree to this, we had Ziva for 4 1/2 years and she was the best dog anyone could have asked for. She loved everyone and she would play ball with you for hours every day. Our only regret is that we lost her to cancer at a very young age. We miss her so much but we are on the hunt for another one. We want another of the mixed breeds, they are so smart and lovable. Our Kiri was living at the pound when we found her at 11.5 mths of age and she grabbed my heart immediately. She passed away 10 mths ago after she developed brain issues and it was the most difficult passing I have ever had to accept. Kiri was super smart and keen to learn so she picked up everything practically on the spot. She was a fun fun fun dog and she loved her piles of toys,,never have I had another dog who moved toys around as much as she did. She was great with kids and dogs and adults..even tho her appearance initially made some folks a tad nervous. She was 63 lbs of love. I have one and we adopted her at age 18 months. Today she is 10. Smarter dog you cant find. She is a barkers but she loves children, all kinds of dogs, like the smaller one though, we have also 3 year old yorki. She love cats. She understand way to much so we have been spelling some words. The trick she do are amazing. Fast learner, She Have licking problem and love balls…… she opens up her gift for Christmas, she know left from right, she do patty cake. I put treat on her nose she stays until I tell her to go ahead. Her fur can been to much, but better dog or smarter dog. Have never had or seen. And that is allot of Dogs. Best thing ever when we adopted her. I just took in one that previous owner didn’t want, was being extremely neglected. He is 4 weeks old. But have to say he is so loveable, gives kisses and hugs and loves to shake hands all the time. First day all I had to do was put down puppy pads already potty trained, just the best dog ever so far. I only had him two days, can’t imagine my life without him. How big would you say your dog was at 3 weeks ? I have owned several different large dog breeds in my life and hands down the best dog I ever had was my German Shepherd Rottweiler mix “Mojo”. Extremely intelligent, loving, great with my children and other animals. When full grown he reached 155 pounds and was not overweight. I would recommend a mix German Shepherd Rottweiler puppy to only folks that have time to spend with their puppy to give it constant love and nurturing. If you can do that you will have an amazing companion that will do anything to please you.